Community Venture (CV) is located in Winnipeg, Manitoba, Canada. 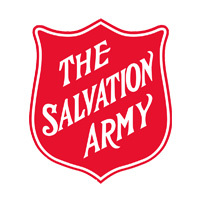 The agency – part of The Salvation Army – provides developmental day programming, residential, transportation, outreach, and respite services to adults living with intellectual disabilities. Funded by Manitoba Family Services & Consumer Affairs’ Community Living disABILITY Services, Community Venture has been meeting Winnipeg residents’ special needs since 1986. We challenge members to thrive by promoting active participation in community and supporting choices that increase independence and develop natural talents. Our efforts are realized within the framework of The Salvation Army, emphasizing the love and acceptance of all. Together with program members, we work to identify and meet individual needs, and to promote independence, interdependence, and well-informed decisions. We aim to encourage and model courtesy, tact, respect for others’ beliefs, and freedom from discrimination; above all, we believe people must be treated with honesty, respect, and compassion. In the community, we promote public understanding and acceptance of people with disabilities. We do our best to identify and meet community needs associated with our mission, and encourage community members to become involved as volunteers.